Today's spotlight is a record label from one of the hotspots of Rhythm & Blues that was perhaps less known as Chicago, New York of Los Angeles, but for sure it was hot and happening. I'm talking about Houston and its Freedom label. Actually, it's the second set on this label - I did one long time ago, and I had enough music left to do a second one. Unfortunately very little documentation survived on this label, but the music has been well-preserved and is easy to find on re-release albums. The label both recorded local artists as some greats that passed by, most notably Joe Turner. 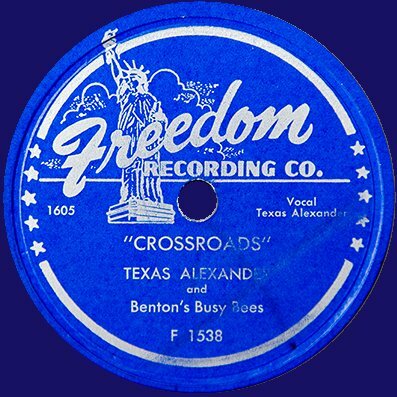 And of course we have these legendary stories again - this time brings us Texas Alexander and the reason why he disappeared off the radar for six years prior to recording for the Freedom label.